Wood is one of the natural resources that is produced from forests. It is used in both personal and industries works. 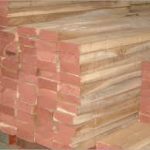 There is different types of wood are available which can be used for many purposes. Some of the most common uses of wood are for furniture making, home construction, firewood, picture frames, etc. 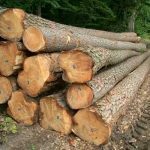 Countries like Africa and Canada where there is a healthy quantity of dense forests are the prominent exporters of the usable wood. 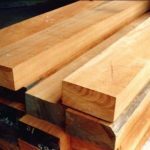 When it comes to varieties or types of wood for woodworking, there are a lot. Some types of wood are region-specific while others are globally found. Today, we will learn about the top five types of wood that are used almost everywhere in the world. Now we will discuss the different types of wood and their uses. Teak is one of the most popular wood types for building outdoor furniture and other outer parts of a building. 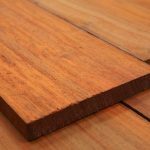 A tropical hardwood, teak is found in most places around the world, with India, Indonesia and Bangladesh being the top producers. The freshly milled teak wood has a smell similar to that of leather. 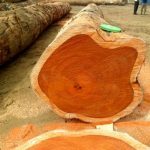 The wood is found and used in two major formats – Teak sawn timber and Teak round logs. Known for its high bending, strength and stability, Tali wood is a native to Central and West Africa. The heartwood is originally yellow to brown-red in color and gets darker with time and exposure. The interlocked grains of Tali make it strong and highly durable. The wood is quite easy to work with, both for hand and machine projects. 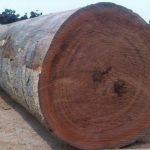 Tali round logs as well as Tali sawn timber are used in home and industrial constructions. Doussie is a Fabaceae (legumes) family wood produced from a tree called Afzelia which is native to Asia and tropical Africa. 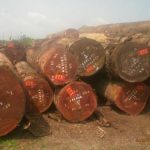 The wood is exported and used all over the world in both timber and round log forms. It is red-brown in color and is very durable. Padauk, or commonly known as African padauk because of its origin, is a Fabaceae family wood produced from the pantropical genus of trees. The wood is typically brownish red in color and has an excellent decay resistance. 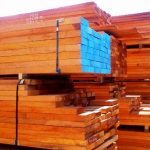 Mahogany is a straight-grained timber wood found in America and some parts of Africa. 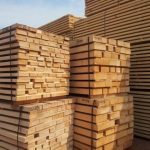 The wood is used in round log and timber forms and exported throughout the world. 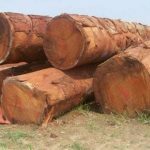 Cameroon Timber Export is a global exporter of top-quality Sawn Timber and Round logs of all types of wood.